Quiet as kept, Russell Westbrook has been having a historic season. The only thing is, he hasn’t been scoring like a monster like James Harden, or bullying guys on the low-block like Anthony Davis. But he is averaging triple doubles at a historic rate, for the second season in a row. And nobody is really talking about it. Last night against the Portland Trail Blazers, Russ notched his 10th consecutive triple double, effectively beating the record of nine, set by Wilt Chamberlain. The record had stood since 1968. All it took was a drive and kick to Paul George, who took the trey from downtown and sunk it in. And Westbrook made NBA history with the assist. Russ ended with 21 points, 14 rebounds and 11 assists and last night’s triple double makes it 23 for the season (a league high). Crazy enough, PG13 set Westbrook up with a 3-pointer later in the quarter, giving him a triple double in the game as well. George finished the game with 47 points, 12 rebounds and 10 assists. It was another monster performance. 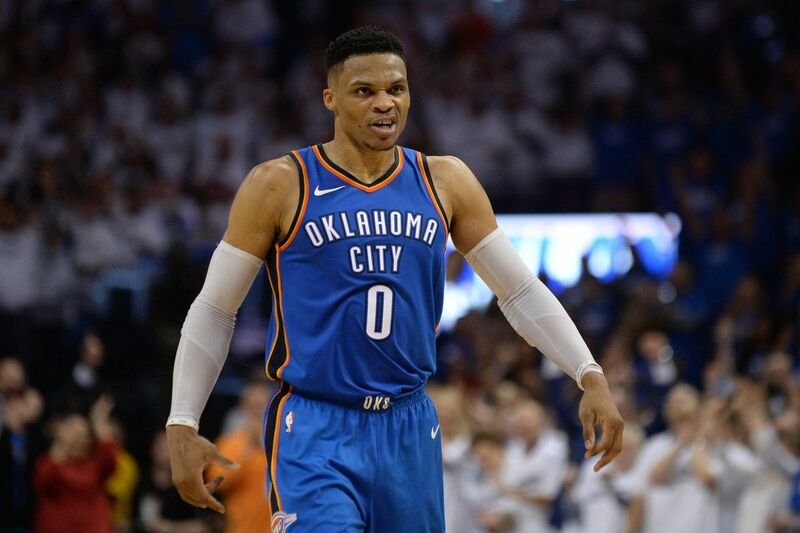 The Oklahoma City Thunder are finding their stride at just the right time in the season and could be a force come playoff time. Teams should be shook right now.